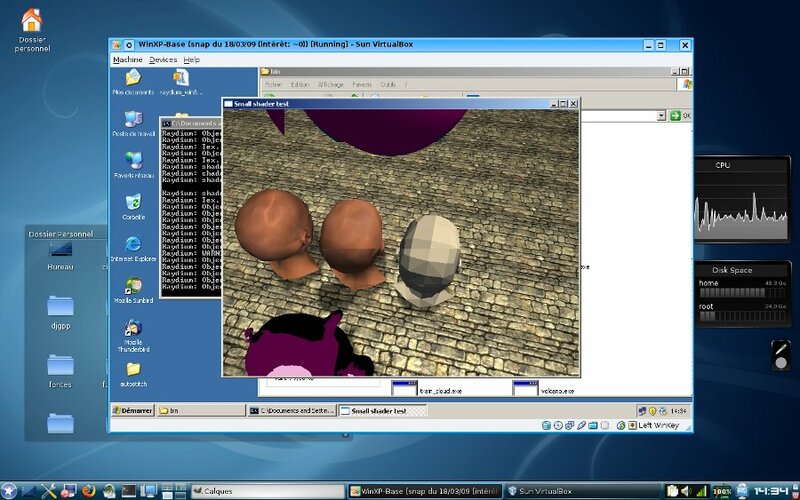 Just a quick note : I've just updated my VirtualBox, for some reasons, and the new release (3.0.2) claims a Direct3D / OpenGL acceleration for guest OS. So I tried ... and it (almost) works ! Mouse is not "managed" correctly, some applications just freeze after texture loading, but it's a good start Will help me to deal with win32 SDK !